These Handz is comprised of producer Sparkii Ski and DJ Grazzhoppa and they are all about that boom bap hip hop flavor. We have here two mixes of the same song but they are both banging so I wanted to feature both. I have mentioned Grazzhoppa countless times on here and he has never been a part of a bad project or song. Everything he has done has been the premium project. 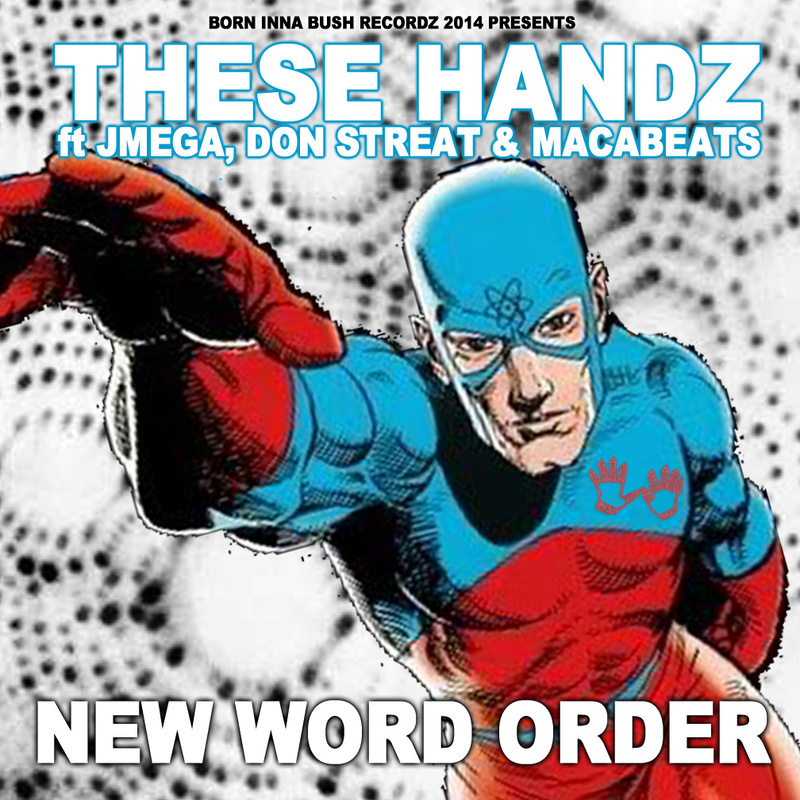 On this song we have JMega from True Masterz rocking with Don Streat and Macabeats from the Animal Pak. It’s lyrically fire which blends perfectly with the fire of the production and scratching. The remix from Mighgawd is more of a down tempo pace that has more of a rock influenced flavor behind it but it’s dope nonetheless. Make sure you give these a listen. JMEGA releases the video for Bobby Johnson, a single from his latest album, NIGGAZ IZ KINGZ FOREVER. The track is paying repsect to the Golden Era of hip hop but I think it is more than that. It’s taking that new school boom bap with a sharp, modern twist. And if you want to push your track u a notch, getting DJ Grazhoppa to do the cuts is one way to do it. JMega The God drops something in the same vain as 2Pac’s Death Around The Corner. Death is coming for us for us all…so be ready if someone tries to take it from you forcefully. Purpose of Tragic Allies is the man responsible for the beat. I am presuming that this is a single off of JMega’s forthcoming album, Niggaz Iz Kingz. As an aside, if you have not heard JMega and Junior Makhno’s album, Blood & Thunder, you need to check it. Dee Metto shot over this new single for his collaboration with JMega. You may remember JMega’s previous work with French producer, Junior Makhno. That whole album bangs. If this song is any indication of what his newest album, Niggaz Iz Kingz Forever, is going to sound like, we can count on that knocking just as hard. The homie Junior Makhno put me on to this man, JMega. This is some tough music right here. Apparently, the two have a collaborative album that is in the works and if it all sounds like this, then that will be one nice album.